Are you searching for a headlamp for your next hunting? Caving, orienteering, Hiking, Skiing, Backpacking, Camping, Mountaineering, etc., involves activities at night or in dark conditions. But it In such situations you would need headlamps to see in the dark. These headlamps would help you to overcome darkness. As per its name, it is a light source fixed to the head. AA or AAA batteries powers these headlamps. Heavy powered lamps are designed to place emitter at the front of head and battery pack at the rear end. They are strapped to the head or helmet using an elasticized strap. The smaller size of LED lamps quickly adopted as headlamps. Even LED lamps are known for their low power consumption and improved durability as compared to the regular incandescent bulbs. LED bulbs which rate 1 or more watt replaced incandescent bulbs in models of headlamps. The heat sink is also provided in headlights to avoid damage to the electronic parts. These headlamps are too useful for all the hunters as in night making your way without these would be a risky and challenging task. First in our list of best headlamps is Fenix HP25. 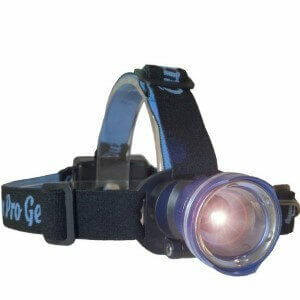 This is a popular and reliable headlamp of Fenix. Fenix is a Chinese company which has been working around five years in this market. Talking about its Headlamp Fenix HP25, soon it became a trusted one for customers. Because of its reasonable price and durability, hunters prefer it over other brands. The light it emits is much stronger than others and thus is ahead in the race of headlamps than expensive headlamps. If you are looking for a headlamp with high powered lighting and low prices, this headlamp should consider first. Fenix HP25 headlamp is best known for it’s maximum of 340-lumen output using four AA batteries. Multiple output options from spot and flood combinations provided in this headlamp. The reaching power of light is much better than others. It would reach up to 525 feet on running high at the power and 205 feet on low runtime. You would be able to use it in the rain too, as it doesn’t get damaged with water. It is resistant to water with IPX-6 waterproof and 1 meter of depth for 30 minutes. It provides you with a lifetime guarantee on this headlamp which is from Fenix lighting, US. This is the user-friendly headlamp. You would find it easy to carry because of its less weight. It weighs 8 ounces. Fenix product dimensions are 2x3x2 inches which suit best for head and is convenient to carry. Light Emitting Diodes (LED) is used to light the lamp which emits more lumens of light for effective luminous appearance. It uses 4 Lithium Metal batteries to power. Testing standards of Rigorous ANSI and limited lifetime guarantee average reliability and lasting value in every model. Multiple modes in Fenix lamp allow the user to have most from batteries while simple controls make it easy to change from one way to another method. This headlamp can get fit into your pocket easily. It is quite bright and excellent in flood beam in turbo mode. It is cheaply available just for $60 along with four AA batteries. It has two beams to operate like switching to another one in case if one fails. The headband given to the lamp is durable. The adjustable angle in the Fenix headlamp is 0 to 60 degrees. Fenix headlamp weighs a bit heavy on the head. You would need to use four AA batteries un this headlamp, However other headlights come with three AAA batteries. 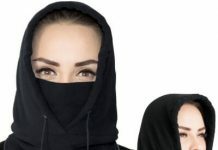 It is not so comfortable and barely conforms to head shape, and there is no padding. The spot beam is too tight to be the very helpful close-up. 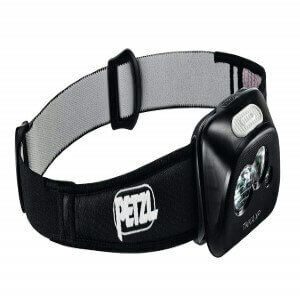 If you want a rechargeable headlamp, then you should go for Petzl Tikka RXP Headlamp. This headlamp provides you a decent light power with adjustable modes, which is essential in any headlamp. The headlamp has reactive sensors which are the great thing about this headlamp. You can get the immediate focus in this headlamp; it will reach to the ground instantly as you would focus to look something. Another plus point is that you can connect it with a computer and programme the light settings. This would let you choose your custom setting in this headlamp. Petzl Tikka RXP headlamp produces 215 lumen light. It is a lightweight USB rechargeable lamp. It allows you to programme it for customization. It comes with 1800 mAh Lithium-ion rechargeable battery. The weight of this headlamp is about 115 grams which are just over 4 ounces. The fitting of the headband is excellent and secure which hugs back of your head with a split two-strap design and an extra 55 lumens. The company has introduced a new technology in this headlamp which is “reactive lighting,” it uses an ambient light sensor to change output automatically. This headlamp switches between spot and flood, depending on the distance it needs to illuminate. This headlamp measures light and a perform feet later. It can automatically switch to the flood mode when you look at your map. Look back up at the trail, it brightens and switches to throw automatically. Performance can customize with different options that you can access by connecting it to the computer via USB. This headlamp is very lightweight at 115 grams. It comes with a rechargeable Lithium-ion battery, that reduces the tension to change batteries regularly. This headlamp comes with a comfortable strap for your head. However, it has a con too. Reactive Lighting Technology (RLT) works well for non-technical trails and street running. Battery drain with RLT does very well; it gives light for about 5 hours. It comes with the extra battery packs (<$30), or you may convert into AAA headlamp with the fixture (< $20). 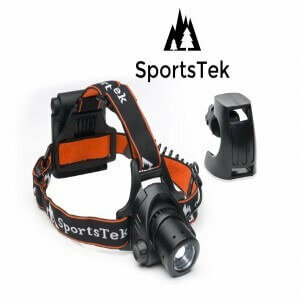 This headlamp is suitable for all type of users because of its reasonable price ($74 to USD 90). This headlamp would not be useful on the technical trail. It not mean for running very fast on RLT. The headlamp strap slips down easily while running until you make it tight on your head. But the in tightening the strap, it would become uncomfortable for your head. Buttons are not easily found when running, even when static it becomes difficult to feel the buttons. The Downloadable software for Mac OS would not work without Adobe Air (massive program with no real benefit, other than making this PETZL program work). Should probably have balanced battery in the back of strap, and lights in front. No top of the head strap makes headlamp fall down the forehead. The Reserve power – is reduced because it is too weak and only lasts 1 hour. 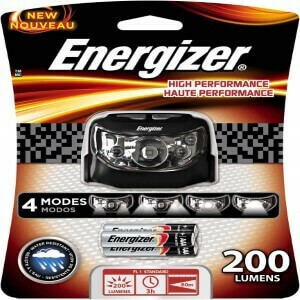 With more products in the market of portable lamps, Energizer has its significance as a unique work light. This headlamp is high performing headlamp as said in its name. If you are looking for best performing headlamp, this can consider. This headlamp gives you four output modes which are right for you. You can adjust settings easily in this headlamp plus the straps are good. These headlamps have a plastic body, which could be a wrong side for it. However, the performance, light beam, and batteries are right in this headlamp. You can recharge the cells of this headlamp too. It has the highest output from the consumers perspective and industrial grade headlights. This headlamp uses 3 AAA battery to power the light. This headlight is compatible with the rechargeable NiMH, basic, lithium batteries. It has both modes, spot beam, and flood beam. It creates larger hotspot when you increase the number of LEDs in the headlight. This headlamp has smart dimming to control light intensity in multiple modes. It has four modes available, namely- Spot Low, Spot High, Flood Low, and Flood High. This headlamp comes with a vision guard which protects vision from gradually increasing light intensity. It consists of the head with the plastic window which covers smooth reflector for primary LED as well as for secondary LEDs. The battery compartment of this headlamp is covered with a gasket and is water resistant. The additional feature you would get in this headlamp is the high and low combination of beams with the digital focus. The powerful beam of this headlamp is around four times brighter than any standard LED technology. 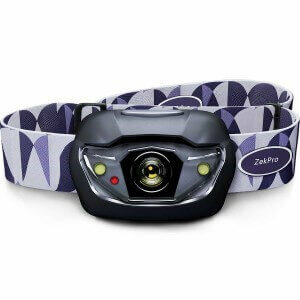 This headlamp gives you an advantage of rare memory recall functions which helps to increase the ease of access. The headlight is affordable of the comfortable price. Maximum output of light this headlamp provides is 200 lumens. This headlamp has two modes- High and low output modes. It has a removable head strap. You can use the floodlight mode and spotlight mode at the same time in this headlamp. It can also use as a stand-alone area/work light by standing the light on the swivel base. Plastic window scratches easily for this lamp; this may be a big con for this headlamp. The plastic body of headlamp cannot take the high heat when compared to the lamp’s high output. Battery backup is one of the disadvantages. This lamp does get slightly warm when used at 200 lumens for a particular period as do most high-output lights. For those who are searching a headlamp for the variety of projects, this headlamp would be a good choice. Type of bulb it uses in headlight LED thus was first started by Dewalt company. 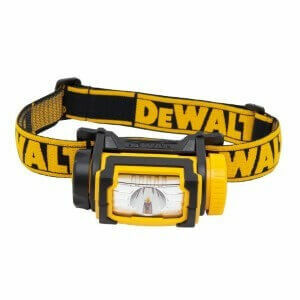 This Headlamp is perfect for hands-free work. So if you want a headlamp for different projects and want to do hands-free projects, go for this headlamp. It comes with 104 lumen light which is bright but is low in comparison to other headlamps. The strap of this headlamp is right and is anti-slip strap which would prevent it from slipping down while running. For protection company had provided shatter resistant lens which will be safe in water too because of their water resistant properties. It uses a basic battery type. This headlamp has LED light fitted into it. This headlamp gives you an output of about 104 Lumens which is bright enough for all types of applications. You can control the setting and switch from high to low by just turning a knob. The lens is water resistant and shatters resistant in this headlamp, which is quite useful for hunting. The company has introduced a new feature in this headlamp which extended runtime. It would last more during run hours. This headlamp has rate for a 2-meter drop test. This headlamp gets powered with 3 AAA batteries. The headlamp is durable, because of its water resistance and shatter resistance. This has an Anti-Slip strap which keeps it securely fastened to hard hats. It has a shatter resistance lens which increases the durability of the headlight. User accessibility gets comfortable with the high/low modes setting in this headlamp. This also contains the extended runtime which makes it more comfortable. The best things are its performance, it gives you high performance and is affordable. The output of headlamp’s light is not too active and is poor in comparison to other headlamps. It doesn’t provide you option of using the spot beam and flood veae together. Comparatively, it doesn’t provide multiple flow modes which you can get in other headlamps. When it comes to brightness and durability both, Outdoor Pro Gear LHB-1000 lumen LED headlamp would be a good option. You can get a good deal regarding brightness in this headlamp, as the LED light gives 1000 lumens. The product is good for hunting because of its durability which is because of its aluminum alloy built. The weight is 5.6 ounce which is convenient to carry. You can change the light modes easily because of its adjustable settings. When going hunting, you would need to focus far and nearer things, this headlamp is apt to help you with that. It would help you to see the things that are about 150 feet away because of its light’s reaching point. You can zoom out the headlamp whenever you need that plus the battery backup is good in this headlamp. This pro gear LED lamp is more durable as it is made up of aluminum alloy. The size of this headlamp is of 9x7x2 inches. 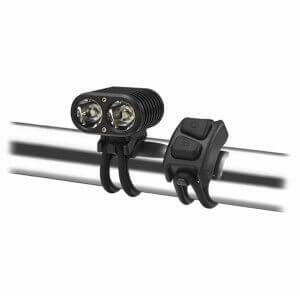 Outdoor pro gear LED lamp gives luminous flux of 1000 lumens. The weight of this headlamp is about 5.6 ounces. This lamp illuminates about 150 feet away. Plus it has a bright setting and focused light. The dimmer setting has been provided to lower down the luminous intensity for targetting nearer points. It had the adjustable field view which will be worth mentioning a feature of pro gear lamp. It has special lens fitted which spread smooth and even light without distracting artifacts. For a tightly focused spot, you can zoom out the light beam which is a good feature if this headlamp. The headlamp powered by AA batteries which lasts longer too. The focused beam of the light can be adjusted. Pro gear lamp has a special feature of SOS function on the light. The headlamp comes with a unique waterproofing. It comes with an excellent sound option for hunting, cycling, camping and emergency situations. It has excellent zooming capacity. Additional SOS feature attracts the user for better performance. Nearer points can be illuminated using a dimmer setting. An absence of gasket over the battery pack makes it less resistant to water. This headlamp comes with two LED types one of which is the single power LED and another one is double power. This headlamp is best in adventures as it is durable and doesn’t get damaged easily in violent situations. The company has inserted rechargeable batteries which are better than replaceable batteries. The battery backup is good and lasts long in this headlamp. If you are worried about the fitting of this headlamp, then you would not have to worry anymore as this headlamp comes with the elastic belt which fits easily in anyone’s head. Zekpro ultra bright led headlamp comes with a rechargeable battery which has waterproofing coverage and consist of 5 modes. It has the IPX rating about 4 and with lumens of 70. It uses two types of LEDs– 1. Double power, 2. Single power. The weight of the battery of this headlamp is 90g. 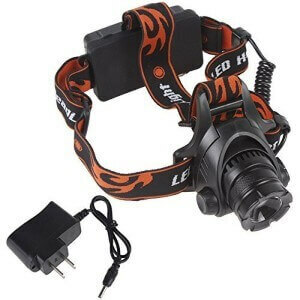 It comes with newest Cree led headlamp with high-capacity and consist battery of lithium. The maximum burn time of Double power lead is 150 H in this headlamp and where in the case of Single power lead is 250 H.
The maximum distance covered by Double power led is 40 m and Single power led is 25 m.
This headlamp gets powered by 3AAA batteries. Because of its elastic belt, it gets fits into any size head easily. The headlamp is super bright in the light. It can be used anywhere even for exploring caves or for riding bikes, in cases of disaster emergency light, etc. This headlamp would be good for adventures as it cannot get damaged easily because it consists of lead lamp it is ready to face any storms. 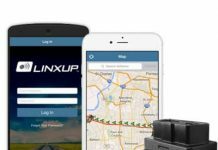 It can be used easily because of its easy accessibility feature. It can use in any situation. The belt is elastic which is adjustable and can get fit into ant head. Emission of luminous per watt is greater than other headlamps in the list. The reach of the light beam is good enough. The light is a bit dangerous to the eyes. It is more expensive since the costs of the luminous lens is more. It is dependent on the temperature of the surroundings. It mostly used in the winter seasons. The light of lamp impacts on insects. The efficiency of the led will be going on decreasing if there is increasing in power. The sportstek light wear is made up of solid heavy aluminum, and it doesn’t consist of dust and sprinkles as another lens. The headbands are more stable, and the battery pack is about 4AAA by that it can travel more distance. It can be tilted in any direction as well as it can be zoom in and zoom out as like camera. It is multifunctional capability and which consists of outdoor and indoor purposes. The distance traveled by the light is 688 feet. 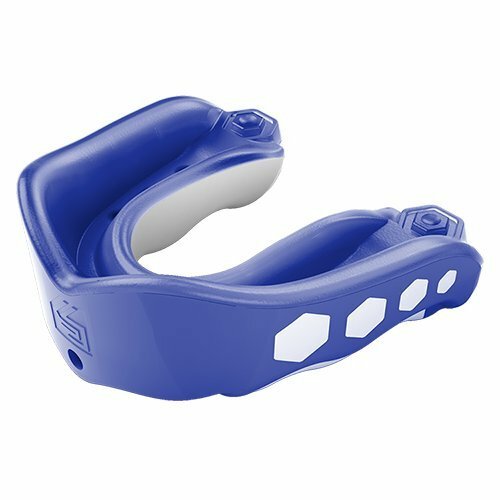 It is light in weight and easily adjustable. It is certified cree of XP-RE 220 lumens. It doesn’t slip aside, and it easily bumps up the light. The cost of the light is very less as well as it is available in different colors. Since it is waterproofing the water will not enter into the bulb. It is brighter than the other lights. It can be used in the case of bicycles, adventures, and it is very versatile. It emits more than 50% of bright light. It is a bit heavier than the other lights while we are keeping it on the head. It can’t reuse if the chips are getting destroyed. Since it is heavy, it cannot place on bicycles. Want more luminous headlamp light? Here is the Gemini LED headlamp to fulfill your requirements. This headlamp can range up to 1500 lumens which are a super bright light emission and is greater than the other headlamps we have listed here. It even emits more lumens than the lumens produced by a car’s light. The company provides both high and low lumen headlamp; you can choose the best which suits your requirements. 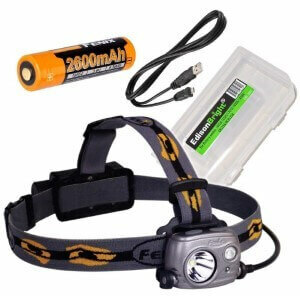 Batteries are rechargeable which is a plus point of this headlamp and can be recharged using a power socket or USB. This headlamp is quite popular in western Europe and North America. The lumens of the headlamp may range about 150 lumens which are the minimum and the maximum 1500 lumens. The production of lumens is more than that of a car. It has three mount type they are 1. Super bright, 2. Tiny, 3. Lightweight. It comes with of two batteries 2-cell and 4-cell to choose best battery pack of running time. Factory models where heavy is 1500L and in medium 1000L, as well as low, is 400 L, the flash of light passes up to 600L. The battery indicator has led light in this headlamp. The runtime of the headlamp would be for 10% means 17 hours which is the minimum whereas the maximum is 100% is 1 hour 30 mins. You can recharge the battery using the plug or USB sockets. The major markets are in North America and Westerns Europe. It is brighter than the remaining ones. It is almost brighter than the HD lights. It can reach too far distant objects as well. It emits the maximum speed of light. Here comes another headlamp in the list which is a great performer and emits super light. With 1800 lumens production, Windfire CREE XM-L T6 U2 LED Headlamp becomes the super bright headlamp in our list. This is more than enough for any hunting location, as the bright light would have a good reaching capacity at distant points and would help hunters to focus far things properly. It would not give you tension of replacing batteries every time as it comes with rechargeable batteries. This headlamp would not get affected at high temperature because of its aluminum covered body. Also, you can use it in the rain as it is water resistant. Wildfire 1800 lumens comes with a rechargeable lighting headlight. It helps to guide light when you take cycle at night. Headlamp installation is easy. Also, you would not need to remember buttons for functioning, as one single button can control different light modes. It has three switch modes, aluminum alloy case and water resistance which helps in avoiding high temperature and anti fall off. This headlamp can use in camping, fishing, map reading, night fishing, night flying, sailing, caving, hunting, etc. The headlamp gets powered through a corded-electric battery of 2 lithium-ion batteries. It weighs about 9.6 ounces. It consists of LED lights to illuminate. It provides more brightness than other headlamps. It has a capacity of 1800 lumens. It gets around 4 hours out of a good set of 18650 batteries before it dims. It has lower brightness setting that should take more runtime out of your batteries. The power switch located on the back – maybe twice per cave trip, hit it on the cave ceiling and it shuts off. Easy to turn back on, but annoying. Waterproof sealing is not good. The gaskets are present in the battery compartment, but the charge port is are made up of a rubber plug. 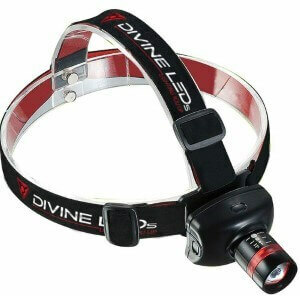 The divine headlamp is known as a revolution in handsfree illumination. This headlamp is super bright, comfortable, and durable. You would find the headlamp bright enough during hunting. The straps are quite comfortable to wear, and you can adjust them as per your size. Even after making it tight it won’t feel uncomfortable. The light can be tilt up to 45 degrees which is an excellent thing because it lets you focus on what you want to. high-tech military-grade aluminum used for the advanced and compact design of headlamp. Thus headlamp comes with high brightness, durability, light-weight, and compactness. The design of the headlamp is entirely adjustable and zoomable design with 200x zoom, adjustability, ultra-brightness with three different light modes. The body of the headlamp is made up of the plastic case with 4 LED lights and an elastic strip. The elastic band of this headlamp is adjustable and stretches well to fit into any size. It allows you to dim both two side lights and big center light to a lesser intensity and can switch to the bright mode by just using the top button of the headlamp. For flood beam in turbo mode, brightness is good in this headlamp. It comes at a lower price with 4AA batteries. To switch spot to flood beam, the company has provided two beams in the headlamp. The headband is quite durable and is made up of fine leather. It may come with some manufacturing defects which could be disappointing for any user. Instructions guide would come with two small letters printed on it which would make it difficult to read. You would have to operate the headlamp at your own. These were the Top 10 headlamps for hunting. You can choose any of them which suits best for you regarding light emission and budget.